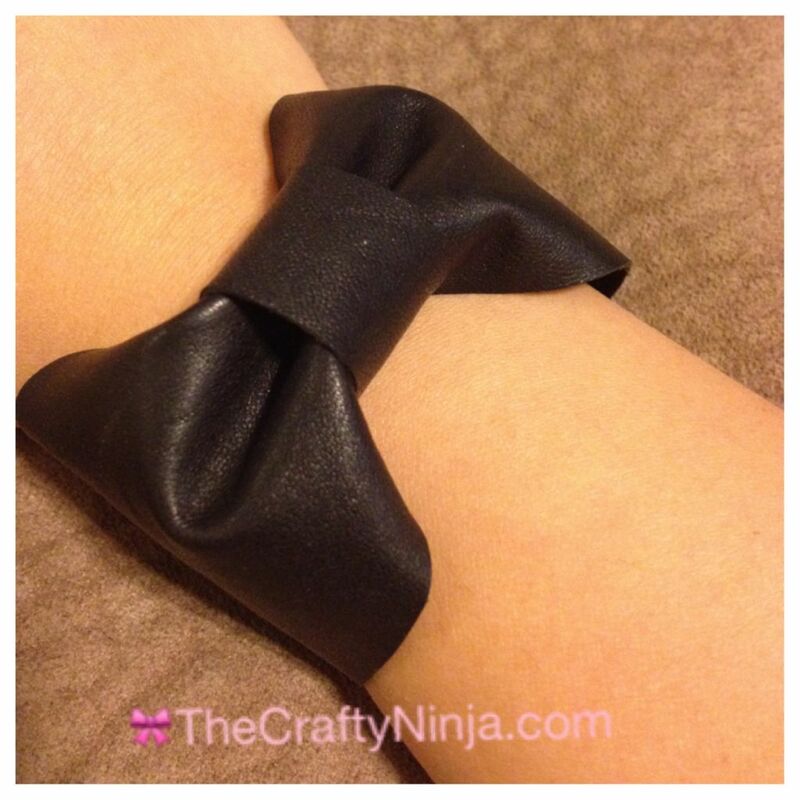 This is my tutorial on how to make a Leather Bow Cuff Bracelet. I also included a free template here. Materials: Scissors, Leather, Pencil, Bow cuff bracelet template, Needle, Thread, Sewology snap button attachment kit (Hobby Lobby), and Hammer. First trace the template on the leather with a pencil. Press the dots with the pencil to make an impression on the leather, these are the guide dots for where to put the snap buttons and guide dots on where to sew. 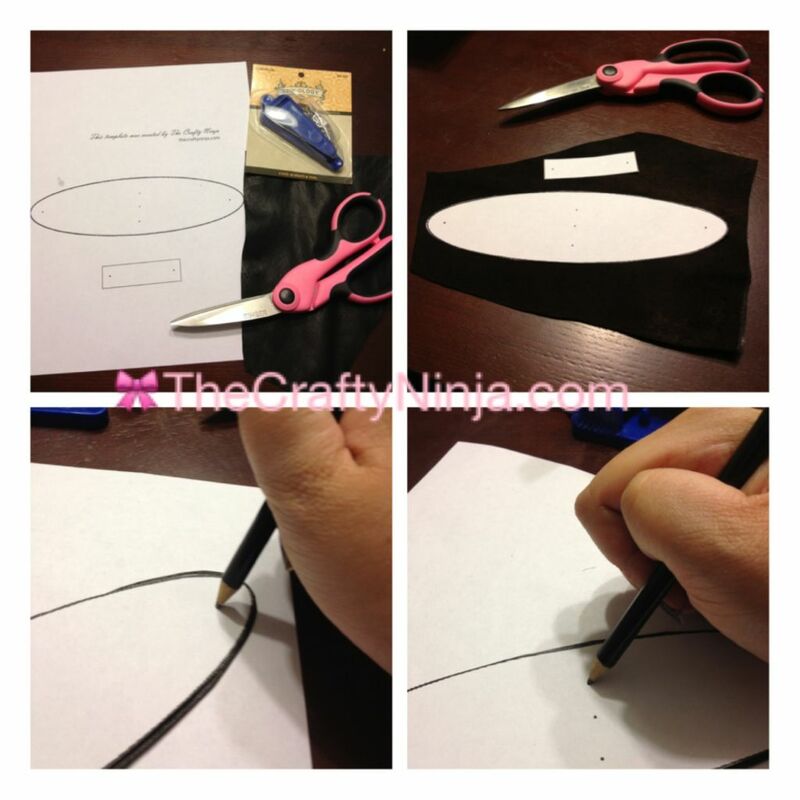 To start sew Over on the leather, use the dots as a guide for the needle, when finished tie the thread on back. 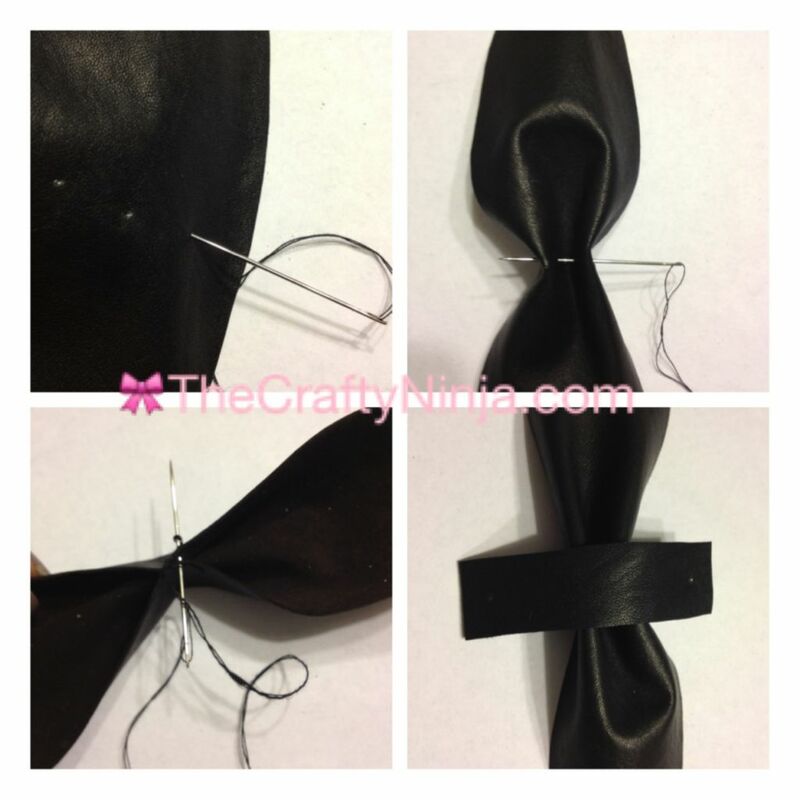 Add the rectangular piece to the center of the bow to hide the thread as well as to complete the bow, again use the guide dots to sew. I purchased a snap button attachment kit from Hobby Lobby. See my pictures below to see how to add the snap buttons. 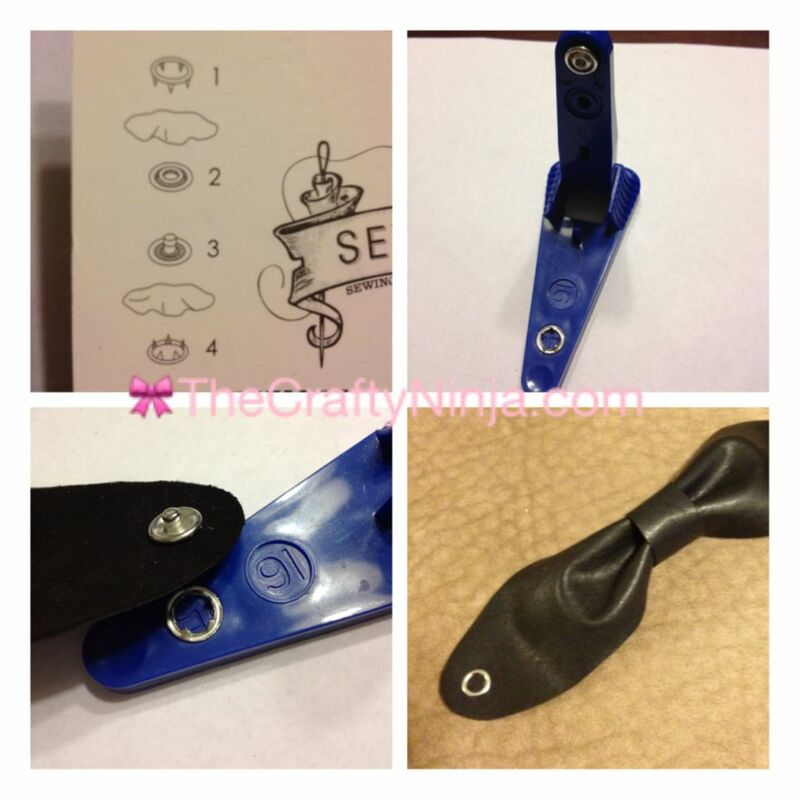 Once you have the correct pieces in the blue attachment put the leather in between and use the guide dots. Close the blue attachment tool and hammer. Then do the same to the other side. When attaching the other side be sure you put the correct snap button on because there are two different types.